Far Cry 3: Blood Dragon will be a breakout hit this year. The spinoff has already been quoted as selling five times what Ubisoft had expected. And there may even be a sequel. Wait what? On Major Nelson’s podcast, Michael Biehn said that creative director Dean Evans was sitting down with Ubisoft to discuss the continuation of the series. “He was pretty jacked up. He was going into a meeting today. I think he wants to turn it into some sort of franchise. He’s got a sequel in mind,” said Biehn. 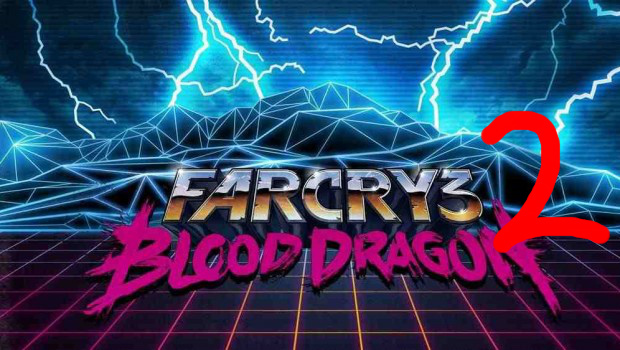 Now, I’m all for everything Blood Dragon is and stands for. But I really hope future iterations of the series isn’t the same take on action and shooters as this first game was. I’d love to see a 70’s detective game based around the same ridiculous camp that made Blood Dragon so great. Or how about a 60’s spy game? How awesome would that be? The ideas are limitless when it comes to Blood Dragon, and I hope the developers realize that. There’s only so much 80’s VHS-styled action a player can take before it becomes worn out.